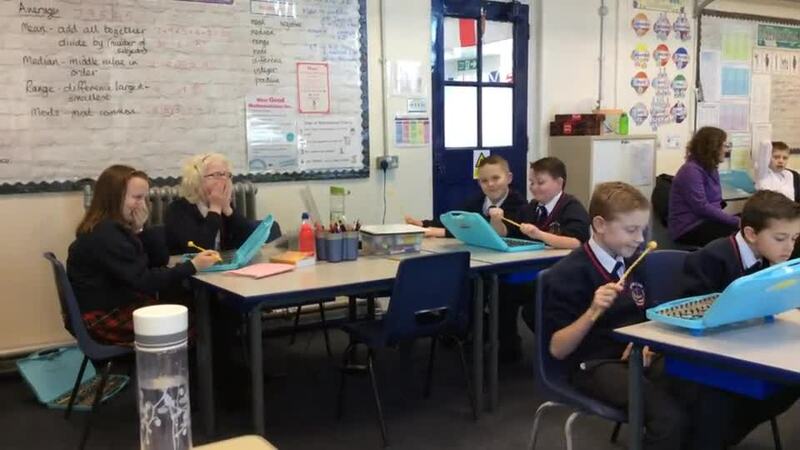 This year our teacher is Mrs M Smith, other adults who work with our year six team are Mrs Bradley, Mrs Knowles, Mrs Nelson, Mrs Ng, Miss Iddon, Mrs Cookson and Mrs Edwards. Our themes for this year include: Survival, Britten's got talent, Heroes and Villains, Super Sleuth, and, Oh! I do like to be beside the seaside. We start the week with swimming lessons at Tarleton Academy on Monday mornings; we are perfecting our strokes and learning vital water safety skills. We have an exciting October ahead when many of us will be attending our yearly residential trip to France. Whilst there, we will visit World War I battlefields, sample some French cuisine, visit a snail farm and boulangerie and converse with the locals. We hope you enjoy sharing our learning journey! We have had a fabulous week studying the human body. We learnt all about the impact of sleep and exercise on the brain; whether we were super tasters and how the digestive system works. Mrs Ng was our resident sleep expert and we were amazed with how important it is to have the recommended amount of sleep each night. To find out if we were a supertaster, we used food dye to help us see our fungiform papillae which contain our tastebuds. The more fungiform papillae, the more taste buds you have. Super tasters often don't like bitter foods. To complete our wonderful week, we recreated the digestive system using a plastic bag, funnel, whisk and a pair of tights! It certainly turned some of our stomachs! 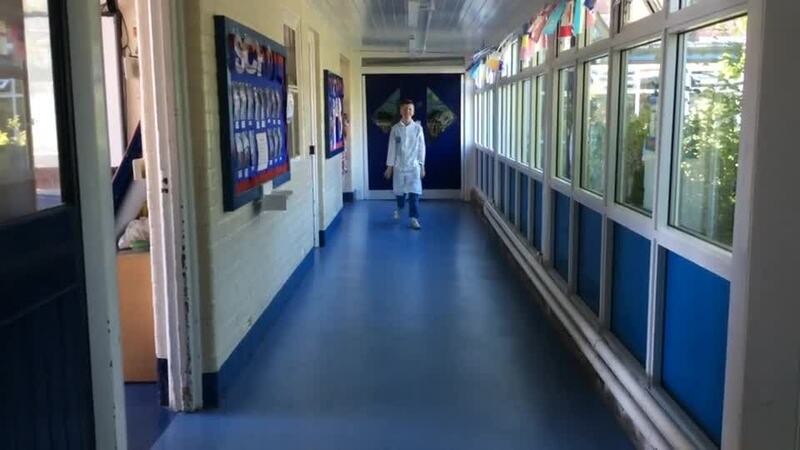 On the final day, we dressed as scientists. Check out our cat walk. We have been studying how holidays have developed over time. 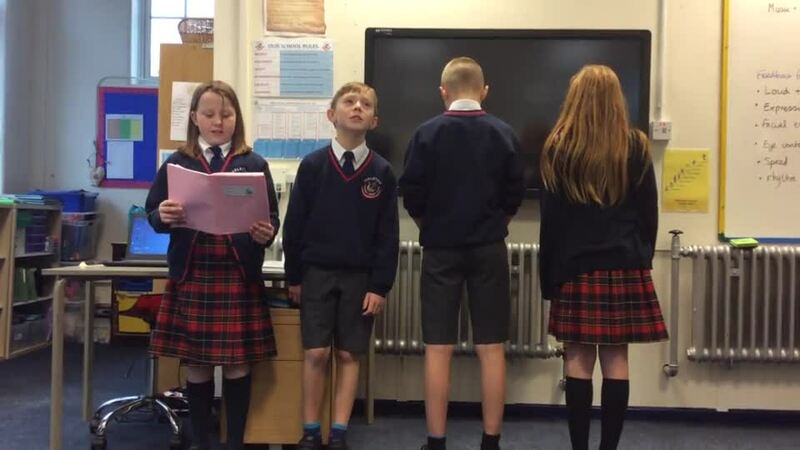 A particular focus has been Victorian seaside holidays, six brave pupils planned, prepared and delivered their very own history about Victorian holidays in Blackpool. They visited year two to begin their research; the year twos were very knowledgeable and really impressed us. They continued their research using a variety of sources before delivering their lesson to the rest of the class. They even marked their work! Take a look at their presentation below. As part of our Festival of Peace, we created peace-themed poems; composed peace-inspired images using digital photography; and made our own peace pledges. This term, science has been electrifying! We have been learning about what electricity is and how it's used. Being super clever physicists, we have modelled an atom which was losing and gaining electrons. Some of us even used the periodic table to identify which atom we were modelling! Using our own bodies as conductive material, we made a human circuit by holding hands. We managed to make an energy ball buzz and light up! In groups, we designed and conducted well controlled experiments to test the effect of factors such as length of wires and voltage of batteries on our circuits. We have worked really hard and Mrs Ng is very proud. We all enjoyed Miles' advice which was to never trust an atom - they make up everything! We have been working hard to develop our writing skills and our focus has been on non-fiction texts. We have written a non-chronological report on the 'Tongo Lizard' using David Attenborough as our inspiration and have applied our scientific knowledge. Our explanation texts have been based on the wonderful illustrations of Heath Robinson whilst our news reports and letters of complaint have centred around the classic poem, 'Albert and the Lion'. We have also written many narratives and entered a story writing competition. Fingers crossed for a win! During our music lessons, we have been listening to and exploring different rap genres. 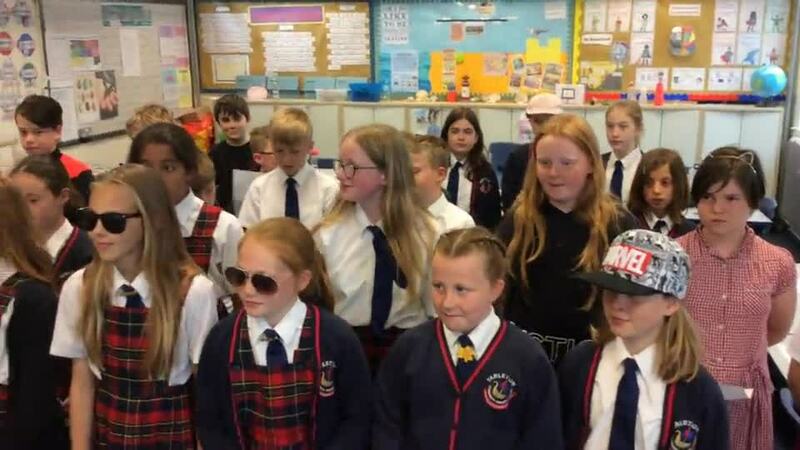 We have written our own 'grime' style raps against bullying and discrimination. Enjoy our class performance. Our theme for the term is 'Oh I Do Like To Be Beside The Seaside'. We are studying how holidays have developed over time and the major historical changes which have made holidays available to all. We have been particularly focusing on the local seaside towns of Blackpool and Southport including their coastal geography. Our DT work will involve designing and building our own fairground rides whilst the art will focus on seascapes and the art of felting. We had a fabulous day investigating body ratios, solving murder mysteries and even completed a maths trail around school. We were joined by our new maths governor, Andrea Brookes who helped us crack out maths mission. Did you know that your arm span is equal to your height? Or that 7.5 lots of your head equal your height? Compare the size of your foot to your forearm, what do you notice? We delved into the world of David Walliams and read excerpts from Awful Auntie. We have used our detective skills to solve the case of the mysterious disappearance of baby, Herbert Saxby, heir to the Saxby fortune. We published our work in the style of David Walliams by producing a multimodal text. We were also lucky enough to have Mrs Potter read to us. We are practising our detective skills and investigating British history from 549AD to the Norman Conquest of 1066. We took part in a Living History Workshop were we created a human timeline. Read our reports below to find out more. Democracy - we took on the role of a local councillor and produced a campaign poster about a local issue. Rule of law and Individual liberty - we learnt all about human rights and discussed which we felt were the most important. Tolerance - we learnt about all the different forms of discrimination and produced posters encouraging equal rights for all. Having designed our own healthy, balanced menus we picked a final meal to prepare. We were lucky enough for Rick Mattock, Mellor’s development chef, to work with us to produce our own burritos. We learnt knife skills; how to prepare and cook vegetables; and how to cook them to perfection. All the ingredients were then combined to make a super tasty and healthy burrito. We have thoroughly enjoyed our dance unit on The Haka. 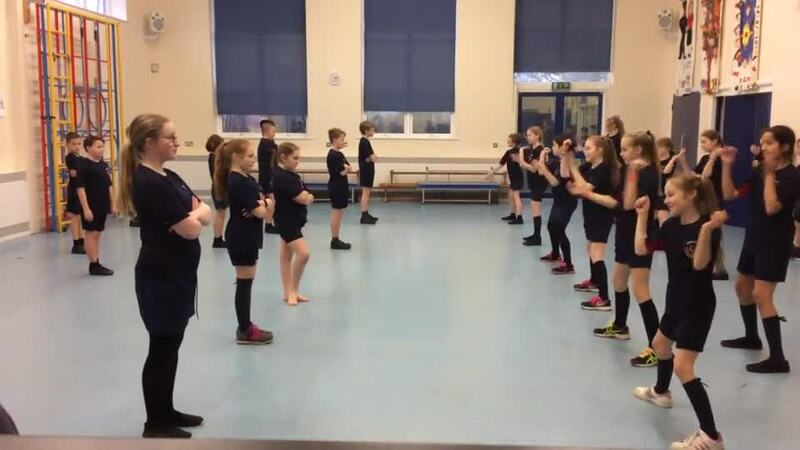 We have worked together to choreograph a routine and we have evaluated and improved our performance. Take a look at our final dance. Enjoy! We had a fantastic talk by Dr Jack Thomson, a marine biologist, from the University of Liverpool who spoke to us about seashells and how their shape is linked to their behaviour. We learnt about the venus comb snail which has a shell covered in spikes to help it avoid predators and stop it sinking in the sand. We also examined the shell of a cone snail which has a harpoon-like radular tooth containing venom to sting its prey or attack predators. It is even deadly to humans. Following the recent news report of an orca being taught to mimic human speech we debated whether killer whales should be kept in captivity. We identified points on both sides and wrote a discussion text on the subject. We were all in agreement by the end of the lessons that it was unfair to keep them from their natural habitat. Our focus this year is on positive and negative online behaviour; how this impacts on ourselves and others; and learning strategies to resolve online disagreements. We had all experience positive and negative behaviours online and recognised how these made us feel. 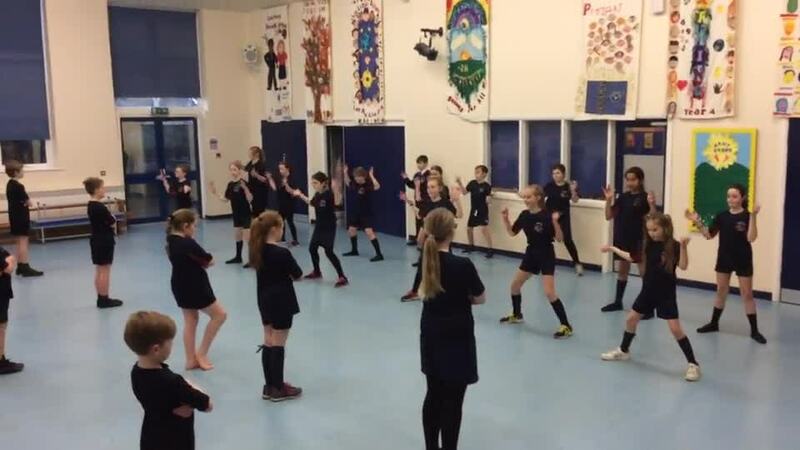 Our theme for dance is the Haka, you may have seen this performed by the New Zealand rugby team before matches. 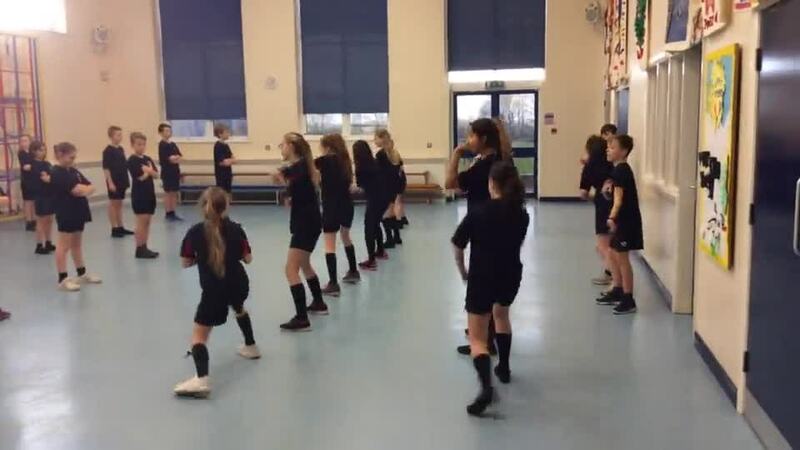 By studying videos, we were able to identify some key components of the dance and have begun to choreograph our own version. 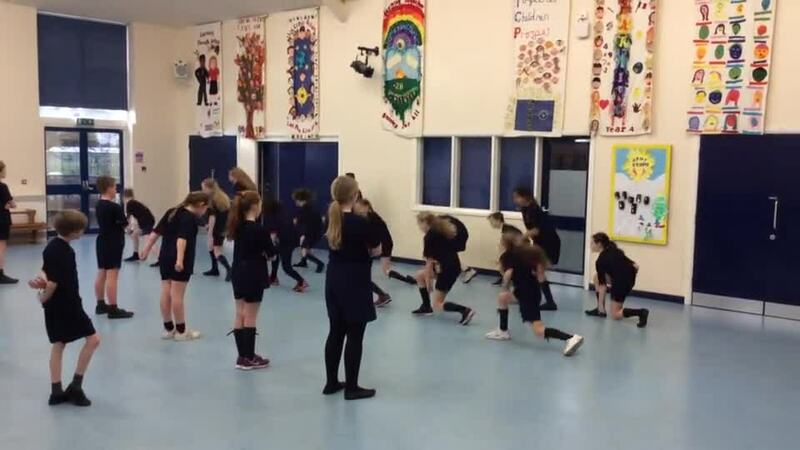 As part of our class performance, group dances have been created, take a look at our dance so far. Our focus is on the circulatory system in science. Using stethoscopes and stopwatches, or just our fingers, we have measured each others' heart rates and investigated recovery rates after exercise. We understand the circulatory system and have reports about how the lungs and heart work together to keep us alive. Finally we investigated the effect of drugs on our bodies. In DT, healthy eating is our focus and Mellors, who provide our school dinners, are coming in to help. Laura, a nutritionist, spoke to us about the Eat Well plate and the importance of a healthy, balanced diet. Using our knowledge we planned a balanced meal which incorportaed as many food groups as we could in the right proportions. We learnt that variety is important and that a diet needs to be balanced over one week not in every meal. we designed our own lunchtime meals and then choose a favourite. We will soon be making our own version of healthy burritos with Rick, Mellor's development chef, we can't wait to try out our skills and ideas. schools we cater for so the pupils can enjoy them as part of their school lunches." This term we have been introduced to jazz. We have appraised a range of jazz melodies and even learnt to play a piece called 'Bacharah Anorak'. We have begun to compose our own jazz melodies too. During Enterprise Week we set up our own business called Seasonal Snot! to make products for the school Christmas Fair. We chose two products to sell: seasonal snot (slime) and handmade gift bags. We evaluated many different slime recipes to find the perfect slime. We designed packaging and recycled packaging from snack time to be eco-friendly. We advertised our product and in fact, we did such a good job, it sold out in 10 minutes! We practised and perfected our gift bag making skills and sold all our bags! Obviously, we wanted to make a profit so we carefully costed each item and we then shopped around for the best prices. We completed customer surveys to establish the price people were willing to pay and this allowed us to make a whopping profit of £125! We even had a human fruit machine to earn extra money. In our science lessons with Mrs Ng, we have been learning about light. We modelled how light travels in straight lines and allows us to see objects. We have investigated reflection and refraction. Not satisfied with knowing that refraction happens, we did our own human demonstration to explain how it happens. We acted as a ray of light slowing down through a medium that was more dense. The human eye has many parts that we can name and whose function we can describe. Did you know that our shadows have a bluish tinge on a sunny, cloud-free day? Ask us to explain why. Finally, we considered colour in the visible spectrum. Experiments with colour filters were conducted in our class and we drew conclusions about how objects appear to be certain colours. We're looking forward to more science next term... and so is Mrs Ng! We have been studying pop artists including Benjamin Britten (a pop star of his time) and modern day favourites. Within English, we studied song lyrics and figurative language. We enjoyed it so much we adapted some well-known songs with our own lyrics and performed to the class. Linking to our music and graphic scores, we have looked at the work of Kandinsky. He is well known for his bright geometric shapes and patterns sometimes inspired by music. After listening to 'Clair de Lune', we composed and sketched our own interpretation of the music in the style of Kandinsky. We used watercolour paint to enhance our composition. Take a look at what we have achieved, we're really proud. We have spent a fascinating week understanding more about World War One. We investigated how the war began and produced TV news reports of the assassination of Archduke Franz Ferdinand. We learnt about the conditions of the trenches and why so many young men joined up when they were under-aged. We wrote letters home and diary entries describing what it was like fighting on the front line and even learnt about the Christmas Day truce of 1914. We recorded our thoughts about what we had learnt through poetry. We read the story of two young men during the war. During anti-bullying week we have been finding out about how to keep safe online, what cyber-bullying is and how to report it. We presented all we had learnt in a special assembly for our parents and the whole school. Each Thursday we work hard to improve our growth mindset and resilience. We work in groups each week to complete missions which test our communication skills, problems solving, determination and ambition. WEEK 1 - Shelters to keep us warm and dry. WEEK 2 - A strong platform which would support our weight and keep us off the ground. WEEK 4 - A bridge. WEEK 5 - A reindeer. Our topic this half term is survival. We have been learning about the amazing work of Charles Darwin and Mary Anning. We've even written Charles Darwin's biography. In our theme lessons, we have been learning all about natural selection and 'survival of the fittest'. We took part in a bird beak buffet - we each had a different type of beak and had to collect a variety of food. We discussed which beaks were suited to which food and who was most likely to survive. We even designed our own beaks and considered the design of bird's legs! Which dance do you think we're doing in this photo? We have had a fantastic day at Blackpool Zoo. We had a chance to view many different species in a variety of environments. We came face to face with meerkats, gorillas and orangutans and we even touched a tenrec. During our workshop about 'Animal Ancestry', we learnt more about variation between species. We even touched genuine animal artefacts: we felt the weight of a giraffe's leg bone and an elephant's tooth; felt the texture of an elephant's foot and a tiger's coat; and got close up to some amazing feathers!